Located mins to downtown Charlottesville just South of NGIC and DIA facilities is the fantastic neighborhood of Dunlora! I like the way you laid out the types of house in the neighborhood. 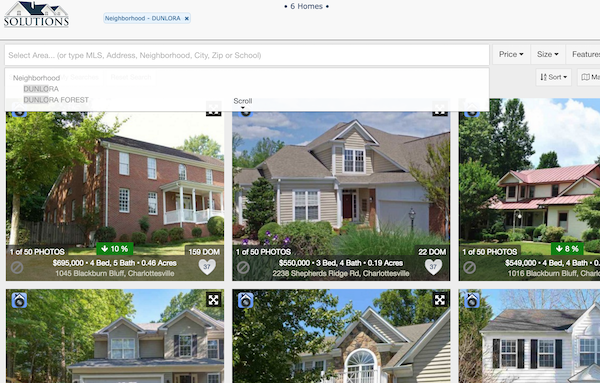 People like to see photos of homes to get an idea along with prices. Just enough info to let them know if they would like to look further. Thank you Eric, I am constantly adding new features for my clients.